With spring swiftly approaching and there being so many trends that we can hardly keep up with, I thought it’d be easier to just rap it up in a quick and easy check list. This spring you’re in need of statement shoes! The crazier the better! 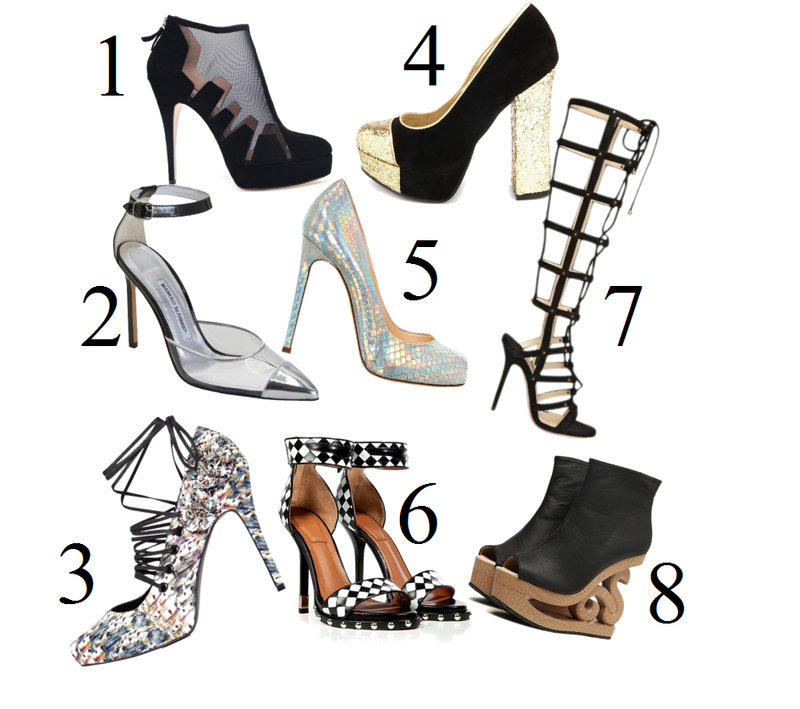 Go from mess vixen, killer gladiator to metallic and see-through pumps and don’t forget the chunky heels!